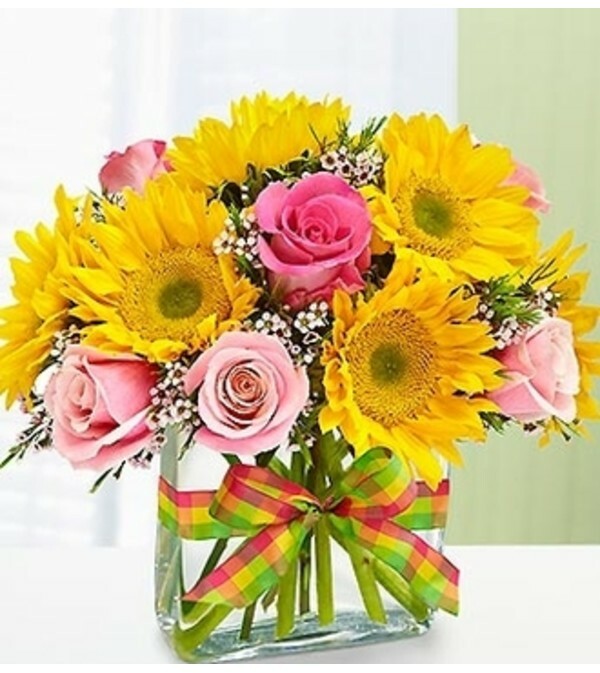 The simple, natural beauty of pink roses and yellow sunflowers is enhanced by their original arrangement in an elegantly modern rectangular vase. 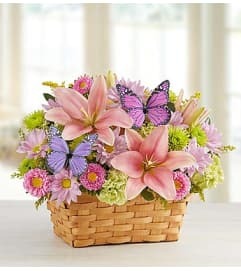 Hand-designed by our select florists and accented with a striking ribbon. Hand-crafted arrangement of the freshest pink roses and bright sunflowers, accented with waxflower. 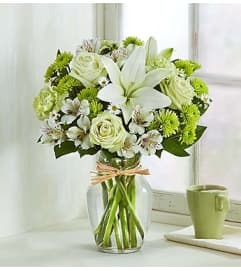 Gathered by our select florists in a stylish rectangular clear glass vase tied with a gorgeous ribbon; vase measures 6"H.